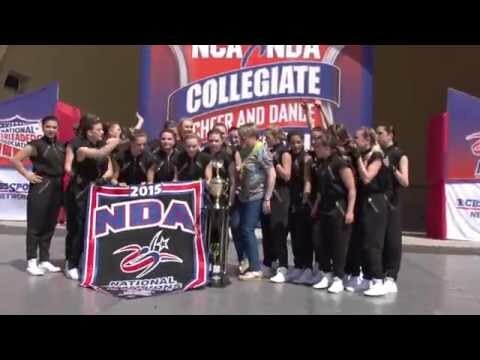 The Brigham Young University Cougarettes were named the National Hip-Hop Champions in Daytona Beach, Florida, on Saturday. The Cougarettes won the title while competing in the NCA and NDA Collegiate Cheer and Dance Championships, which took place April 8-12. The Cougarettes also took home the hip-hop award in 2011, just one year after it was added to the competition in 2010, according to KSL. The dance team also won first place in the Dance Open Division 1A category this year, according to varsity.com. On her Facebook page, head coach Jodi May Maxfield thanked the choreographer who created the routine the team used to win the hip-hop competition. "Cannot let this day end with out a shout out to our amazing hip-hop choreographer Shandon Kolberg Perez," Maxfield commented. "Not only did she give us the most amazing routine ever, but she inspired us, believed in us and encouraged us every step of the way, and we won the 2015 Innovative Choreography Award for Hip-Hop 1A!"